Design allows the flexible support spiral stays to work in unison with the sturdy elastic fabric to provide maximum support while still permitting normal daily activities. 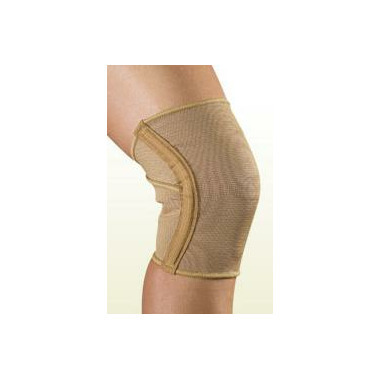 The flexible spiral stay on each side reduce wrinkling and supports lateral ligaments while the criss-cross design allows the brace to conform naturally to knee contours during movement and at rest. Circumfence at mid-joint = 16 - 19"
comfort,flexability,and controlled support; takes all the worry out of protecting against weakness from injury; one note of caution, be sure to checksize required for yor mid measurement.